Despite shaky attendance numbers and challenges from at-home and online media, revenues for the cinema space are trending upwards. Increased audience appetite for premium experiences like IMAX are helping to push box office revenue per guest higher, and innovative food and drink offerings are helping to redefine what it means to spend a night at the movies. Whatever the approach, a savvy cinema marketing strategy is key to unlocking the full value of the movie theatre experience. For efficiency, impact, and visual appeal, digital out-of-home (DOOH) should be placed right at the center of that strategy. 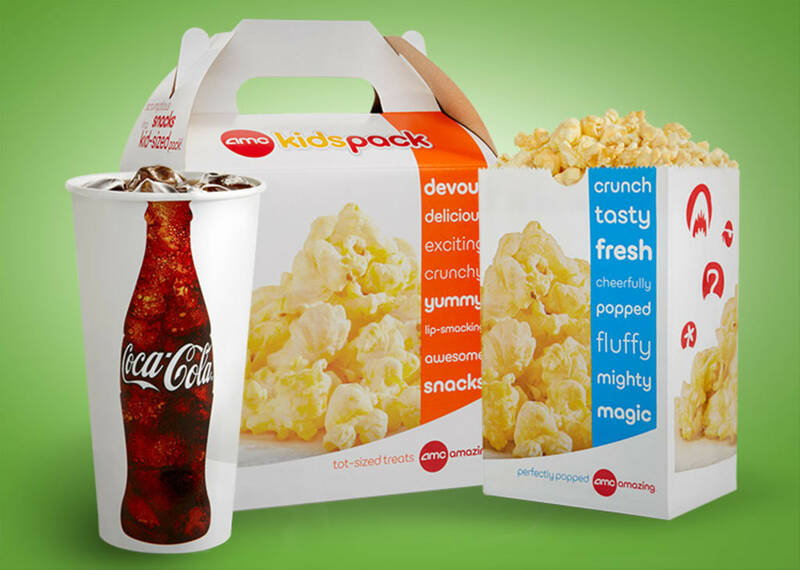 Consumers are seeking out unique concessions at the movies, many of them opting to get whole meals instead of the traditional popcorn and sweets. In answer, cinemas across the world are exploring a new culinary frontier, introducing more substantial meals, and even cocktails where legal, to appeal to these sensibilities. Some exhibitors, like Alamo Drafthouse in the US, even create special theme meals for the films they show. This investment in novel concessions is helping some cinemas to achieve record concession revenue per patron, and is a model that is sure to be continued to be explored worldwide. Cinemas wanting to up their food game can find an ideal tool in intelligent digital signage. At a basic level, the screens offer the chance to introduce moving, brightly coloured imagery to highlight the food that is on sale. Research has found that moving images are 2.5 times more effective at driving an emotional reaction than static—ideal for promoting interesting and delicious food on offer at the cinema. The best digital signage software platforms also include automation functionality that can help cinemas adjust the prominence of menu items to match the audience of the films that are playing. This could mean highlighting kids’ combos before the latest Pixar movie, or promoting a delicious herb-crusted chicken dish for a mealtime showing of an Oscar frontrunner. What’s more, integrating data from the point-of-sale system could even allow for sold-out items to be temporarily removed from the menus altogether. This could allow a cinema to dynamically change which items are promoted, or even display different combo compositions on screen. The better the data at the cinema’s disposal, the better the advertising, the targeting, and the concessions revenue can get. IMAX ticket sales are up, Dolby Atmos speaker systems are growing in popularity, and consumers are shelling out extra money for electric recliners, reserved seating, and other conveniences and comforts. The era of the premium cinema experience is well underway, and is one of the critical drivers of cinema industry health. These sorts of upgrades, however, typically come with an additional cost to the guest, and audiences entering the cinema may not always be familiar with how substantial the benefits will be. Using digital signage placed throughout your cinema is a great way to get them in the know. Ads promoting your premium cinema experiences can be intermingled with videos for upcoming features or branded content, or included as dynamic wait-screen messaging on self-serve ticket and other kiosks. Here again, the integration of showtime and audience data can lead to impressively detailed targeting. During Saturday matinee hours, you might place messaging promoting baby-friendly showings held during the week. In the evening, you might prod cinemagoers to consider upgrading their night to one with a wall-to-wall screen and 3D sound. There are many ways to craft a premium cinema experience for different audiences, but digital signage is ideal for getting the word out about all of them. To cinemas and their advertisers alike, one of the great assets of the space is that cinemagoers actually enjoy seeing ads. In a report titled “Mission 16-34: Launch, Land, Impact,” Digital Cinema Media found that cinema advertising was considered more premium, more trustworthy, and better for brand positivity than live television, YouTube, and social media. To capitalize on this sentiment, however, cinemas must put in the work of building pre-show experiences tailored to each audience. Achieving this result across the dozens, hundreds, and thousands of screens held by many cinema chains can require a great deal of work. It’s a task that can become even more complex if a large chain wants to integrate national, regional, and even local advertising into the ad lineup in different theatres. All of this would be difficult to achieve by individually creating each showing’s content mix. Fortunately, there’s no need nowadays to fiddle with manual, playlist-based systems. Modern digital signage software platforms, like Broadsign, enable cinema operators to enter content into a rules-based content management system and leave the software to dynamically build an ideal pre-show for each showing’s audience. Cinemas can target content based on movie, language, publisher, geography, time of day, and a myriad of other variables that allow for incredible detail, all scheduled and delivered automatically. It’s an approach that nets a fantastic pre-show product at a massive time savings. Powering-up your pre-show doesn’t have to end with automation and targeting. A good digital out-of-home platform can also lead to exciting new avenues for engaging with your audience as they wait for their film to start. Interactive experiences such as Timeplay, which uses a smartphone application to turn the audience’s mobile phones into input devices for games played collectively on the big screen, have exploded in popularity where they have been introduced. Timeplay survey data found that 93% of people who played Timeplay would do so again, 86% would arrive to their movies early just to play, and 74% would recommend the experience to their friends. That sort of effect could lead to a big jump in the value of pre-show advertising. DOOH platforms with open APIs make the work of integrating this sort of interactive experience alongside other pre-show content quite straightforward. Cinema owners can integrate the games at any time during their pre-show, or even bookend a series of ads or trailers with interactive segments if they so choose. Finding the right way to integrate this kind of experience in the pre-show is a great way for cinemas to build guest loyalty and stand out from the crowd. A typical issue for cinema owners is the difficulty of coordinating static media and digital media inside and outside of the premises. Interior and exterior posters, digital displays, menu boards, kiosks, and all manner of other inventory need to be coordinated and sold, often as part of package deals. It’s a project to which a program like Excel, which remains one of the most common applications used by DOOH industry sales professionals, is badly suited at best. Fortunately, some digital signage platforms have in-built functionality that allows digital and static inventory both to be monitored and sold in real-time. A program like Broadsign Direct, for instance, ties into the content management system to break down inventory availability according to real-time data. Cinema sales teams could easily put together complex proposals that blend static and digital media for their buyers, integrating those opportunities seamlessly with their other ongoing agreements. Stacked on top of automated scheduling and delivering of sold digital media, this integrated approach to cinema media sales can lead to massive time savings. Modern OOH sales tools like Broadsign Direct can help streamline static and DOOH inventory sales and management. Thanks to the abundance of screens and other media in cinemas today, there are a great many opportunities for theatre owners to deliver targeted, entertaining advertising and content to guests as soon as they walk through the door. By running menu boards, pre-show content, interactive kiosks, and other digital and static media through a powerful DOOH platform, cinemas can create hyper-targeted experiences that audiences love without a significant outlay of time. Do you want to run your cinema on the leading digital signage platform? Learn what Broadsign can do for your cinema today. Why do so many DOOH campaigns still fall short?